Sometimes nice, godly people get upset with other people who do not share their vision for the church or for how we ought to serve our Lord Jesus. Their assumption is that they are right and that the other people don’t care, are not committed, or are wrong. According to Collin Hansen in his recent book Blind Spots, the problem is that most of us focus on only one aspect of Christian living and do not realize that there are other aspects. In Biblical terms, it is that we forget that we are one body with many different parts serving God in different valid and important ways. 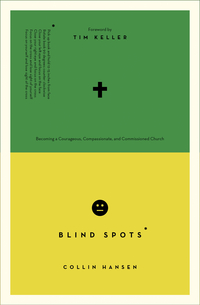 Hansen’s little book Blind Spots: Becoming a Courageous, Compassionate, and Commissioned Church seeks to address these issues head on. Hansen describes three common emphases, their good points, their blind spots, and their dangerous aspects. Throughout the book it is obvious that he is writing to himself as well and that he personally knows the temptation to criticize others and belittle their service. In fact, the passion with which he reports criticism distressed me. So, what do his different terms mean? What are their good points and their challenges? Courageous: These people stand valiantly for truth, but may fail to hear and heed legitimate criticism. Compassionate: These people stress service, listening, and engagement, but may shrink from telling the Truth if it involves confrontation. Commissioned: These people want to build up the church and reach the lost by making the gospel understandable to them, but may struggle to confront the culture’s values if they conflict with the gospel. Obviously, any healthy congregation and any healthy Christian will express all of these good characteristics to some extent. Unfortunately, the reality is that we also suffer from the blind spots. How should we respond to all of this? Compare ourselves to Christ, not to others, and love him above all. Recognize that God has given each of us different experiences, thoughts, personalities, and gifts. Seek unity among believers for the sake of the world (but not at the expense of Truth). Humbly recognize others’ gifts, support them, and work together without neglecting the uniqueness God has given each of us. I am very grateful to be part of a congregation where people are valued for who they are. There is little of the harsh criticism Hansen mentions, although I have heard some slip out in moments of frustration. However, I still learned a lot from this book. Apparently I’m in the compassionate group, and that is a good thing in many ways. I love people, even those I disagree with, because I can see beyond the issues to who they are. On the other hand, sometimes I hesitate to discuss difficult issues because that will cause pain and I wonder if it is really worth it. Hansen pointed out that if I am unwilling to share the Truth, my compassion may not really benefit others at all. My husband, on the other hand, is one of the courageous types; he’s willing to stand for Truth against peer pressure even when it is difficult. After reading Blind Spots I value his contributions even more than before. You will find Blind Spots helpful and illuminating, even if you are a member of a warm, passionate, committed congregation like our family is. I highly recommend this little book and pray that it and its ideas will be studied throughout the world, enabling the church to be full of love for its members and, united in love, to reach the rest of the world effectively. 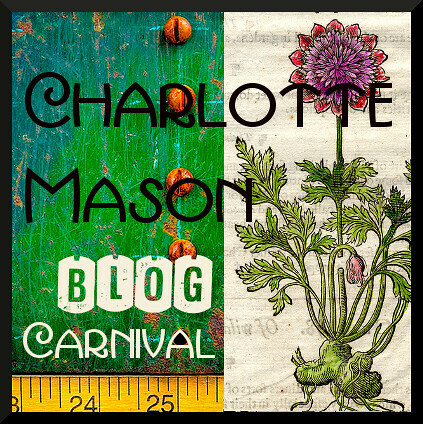 This is yet another book in the in the 2015 52 Books in 52 Weeks Challenge and is also linked to Saturday Reviews, Booknificent Thursdays, Literacy Musings Monday, and The Book Nook. For more encouragement, visit Raising Homemakers, Titus 2 Tuesday, Missional Weekend, R&R Wednesdays. Disclosure: A review copy of this book has been provided by Crossway Books and Beyond the Page. 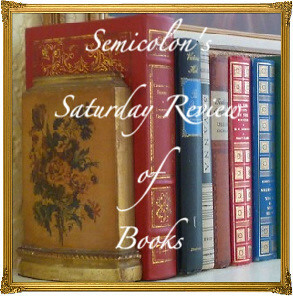 Posted in: 52 Books in 52 Weeks, Reviews, Reviews: Reformed. Thanks! I’m in the compassionate group, as you. I’ve read this post with all my interest. Yes, Jedidja, it is a fascinating and important book. Maybe it’s worth translating into Dutch….